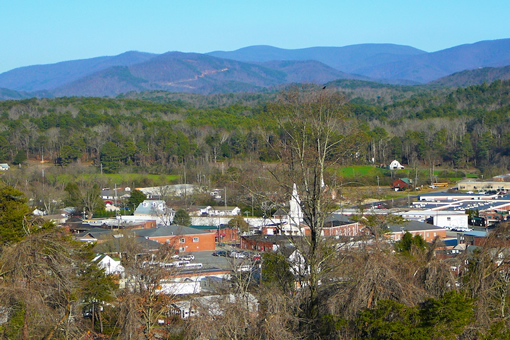 Welcome to Historic Downtown Ellijay and Gilmer County, GA. Favorite tourist spot because of its mild climate, beautiful spring blossoms, autumn color and APPLES! The public school system is under the leadership of an elected Board of Education and an appointed Superintendent of Schools. The system includes one primary school (K-2), three elementary schools, two middle schools, and one high school. Gilmer High School offers a full academic program as well as an extensive vocational education program. Competitive sports include basketball, football, wrestling, tennis, baseball, and track. In addition, students participate in District Literary Meets; and many students are involved in band, chorus, and drama. Student organizations offer additional opportunities to grow and learn. Gilmer County is a member of the North Georgia Regional Educational Services Agency (RESA), which provides administrative, and curriculum services, as well as cooperative purchasing, to schools in Gilmer, Cherokee, Pickens, Fannin, and Murray Counties, and to the Dalton City System. ETC offers local phone service, long distance, paging, Internet access and cable television, etc.